The Whanganui District Council is committed to supporting a vibrant events environment in Whanganui that will continue to build a sense of community, enhance the city’s unique identity and add to its cultural wealth. It also aims to optimise the contribution of festivals and events to the city’s economic development. The Whanganui District Council has supported the NZ Masters Games since the first event was held in Dunedin in 1990 and sees this event as a great opportunity to showcase Whanganui. Bringing to the table local expertise, contacts, and knowledge of the Whanganui Sporting community, the Games would simply be lost without the key contributions and work behind the scenes from the Sport Whanganui team. A proud ongoing partnership with our official Media Partner, NZME. 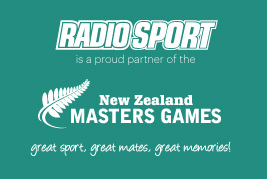 This also includes partnerships with our official Print and Digital Media partner, Whanganui Chronicle, and Radio Sport – the official Radio Station of the New Zealand Masters Games. Our official design partner for 2019, David and the team at Liquid Edge are responsible for making sure our 30th anniversary celebrations are as bright and vibrant as possible. H&A are again our official print partner, with a longstanding relationship of high quality work and fast turnarounds, they’re the best in the business! NZCT is proud to be the largest funder of amateur sports participation in New Zealand, and has a long history of supporting the New Zealand Masters Games. Whanganui and Partners is the economic development agency of Whanganui. Our innovative and friendly team includes experts in business development, education and destination marketing. Whanganui Community Foundation’s purpose is to achieve greater social wellbeing and connectedness for the people of the Whanganui region. This aligns well with our NZMG vision, and we appreciate the continued support. The Digital TV Network that is locally owned and operated in Whanganui. Keep an eye out for all things New Zealand Masters Games on their screens at over 21 locations around the region.